Food For Joy! 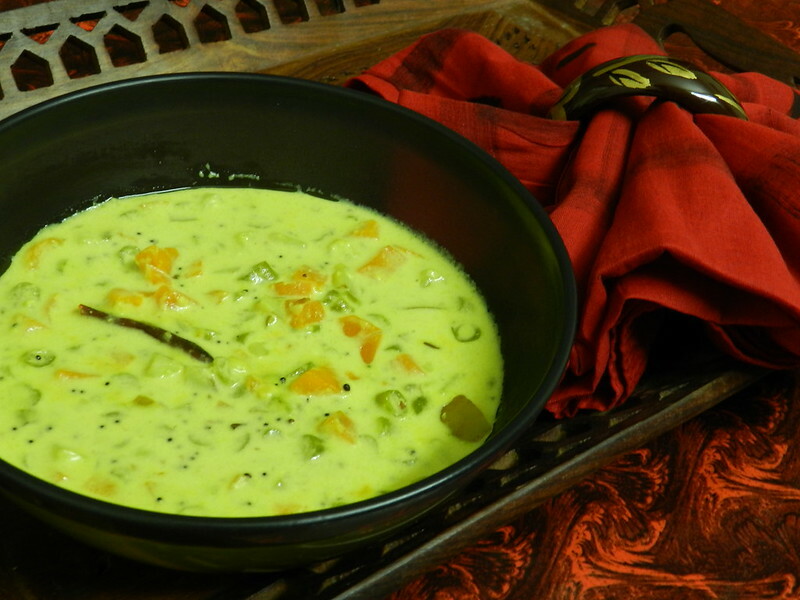 Mix Vegetable Kurma - Food For Joy! 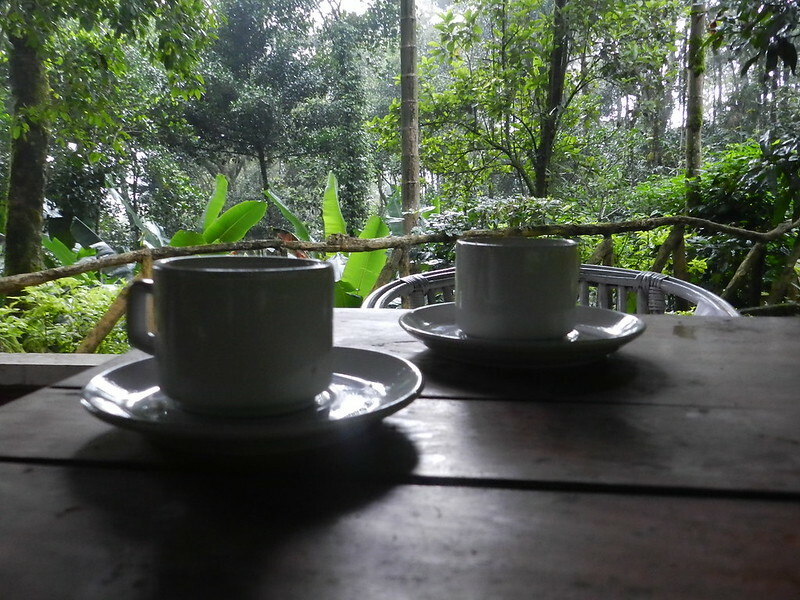 In Munnar we were housed at Glenmore Resort. The location of the resort alone is more than enough for us to love the place where we stayed. The stay was smoothened by the ambience of the people in the resort. The food? It was homely. I never felt that I was away from home made goodness. 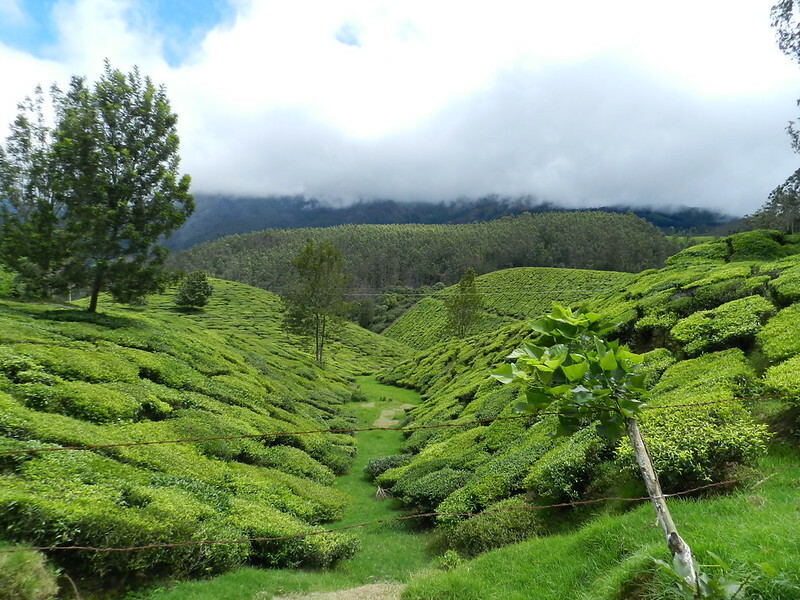 Given a chance probably Vinay and I will love to visit Munnar just to relish the divine food of Glenmore. 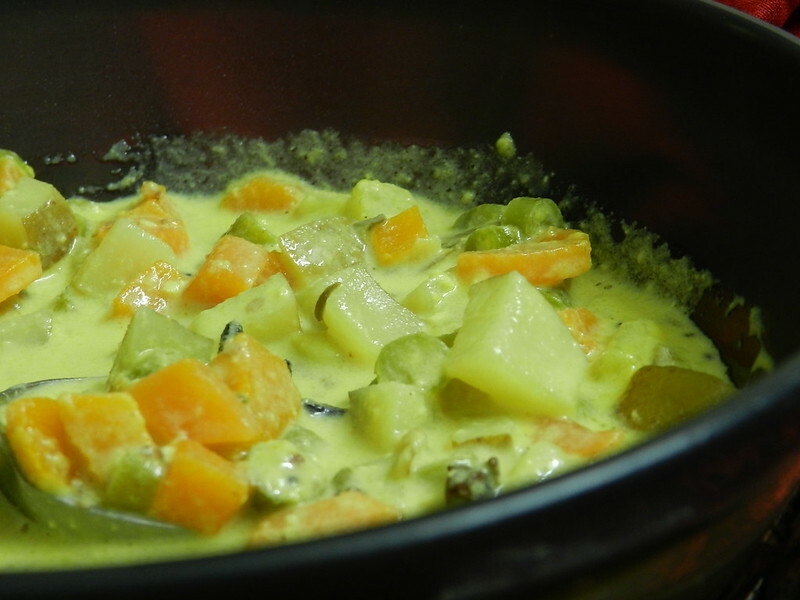 A simple recipe of a vegetable curry stole our hearts as it was really light and free from complexity. It tastes a little sweet with the flavors of spices coming along. As a take away, we requested for the recipe with the cook and he generously rendered the recipe. Thanks to him :) Now this is an asset in my recipe journal. Note that you are free to choose any vegetable you want in this recipe. I would like to suggest a few i.e. cauliflower, capsicum, baby corn, mint leaves, dill leaves, radish. 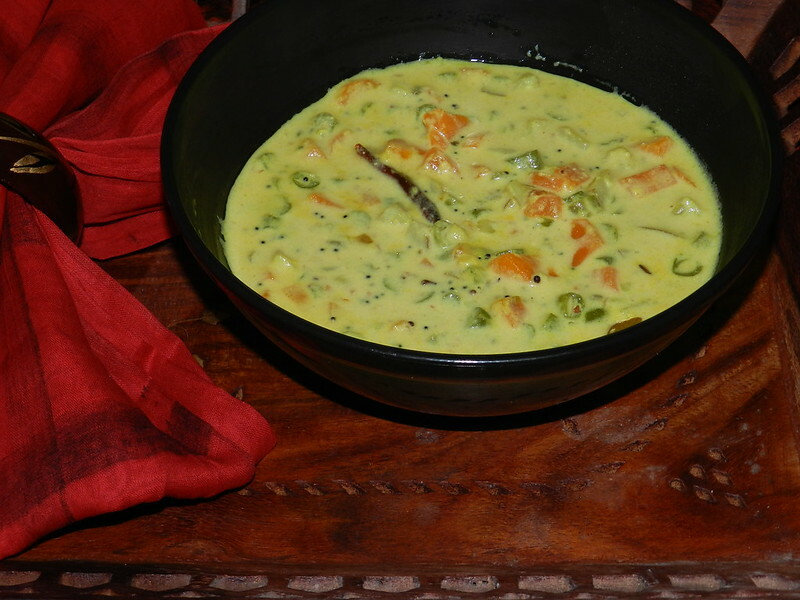 Mix Vegetable Kurma is a accompaniment that could be served with phulkas and puris. 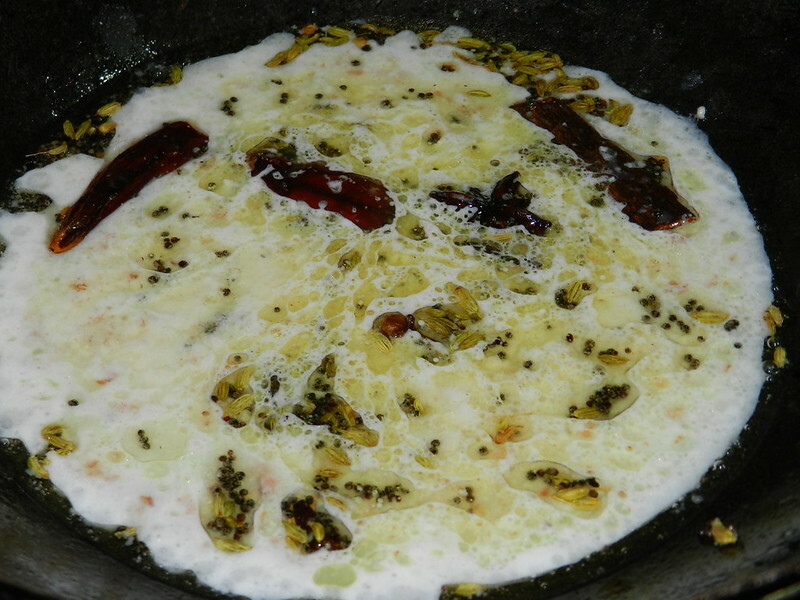 Its a preparation made from cashew paste and milk. Step 1: Blend the cashews with 4 tbsp of water. 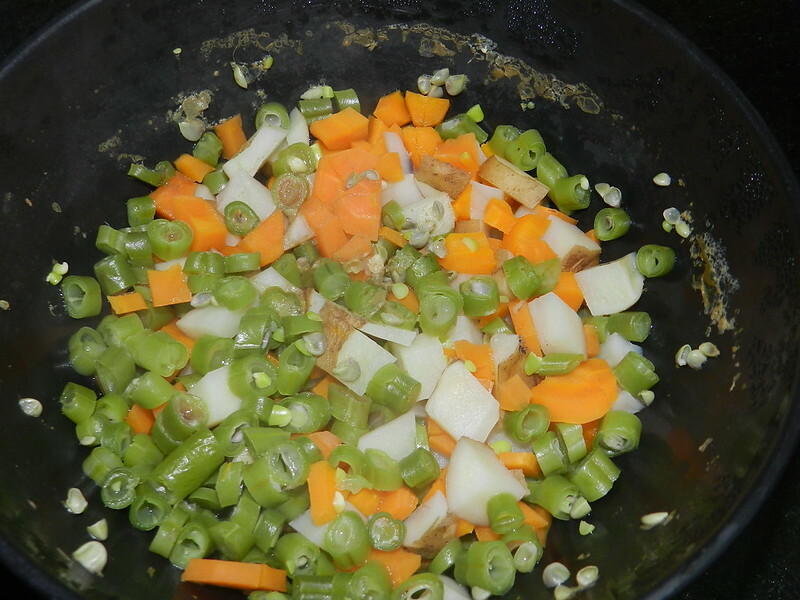 Step 2: Cook the vegetables in a micro oven or pressure cooker with 250ml of water. 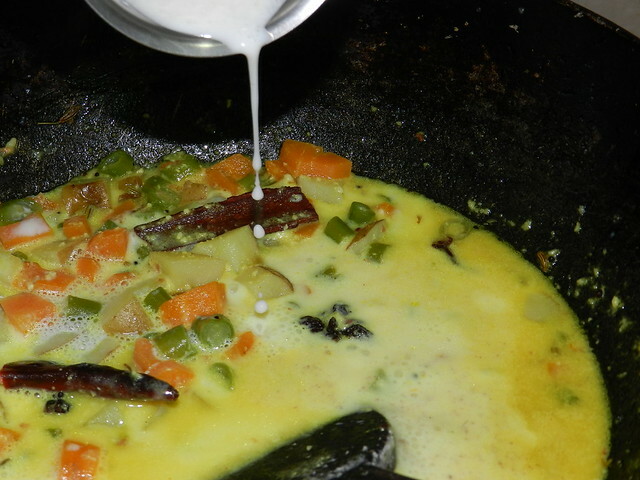 Step 3: In a wok heat oil and add the mustard seeds. Wait for the seeds to stop popping. 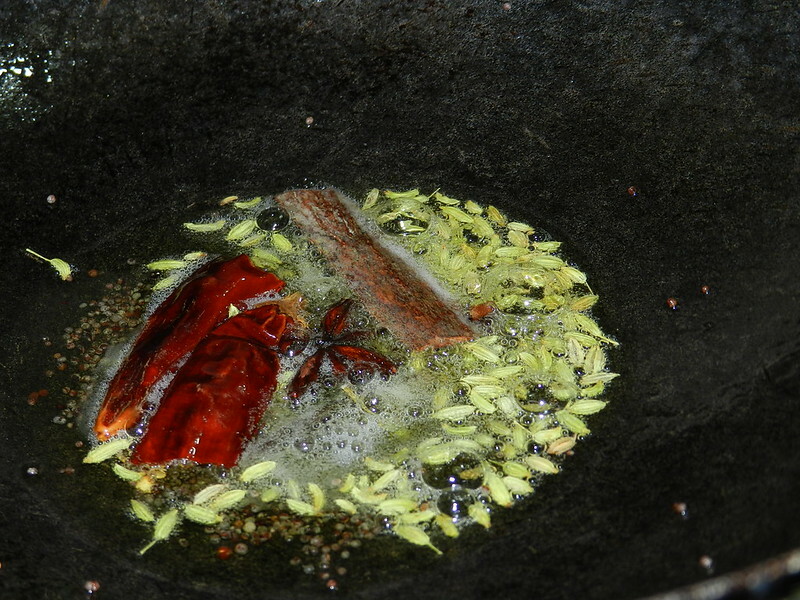 Lower the flame and then add cumin seeds, red chilly, cinnamon, star anise and cloves. Make sure the spices don't burn. Stir gently for 15-20 seconds. Step 4: Add the cashew paste and stir gently. You can add another 4 tbsp of water at this stage if you would want to ease the stirring. 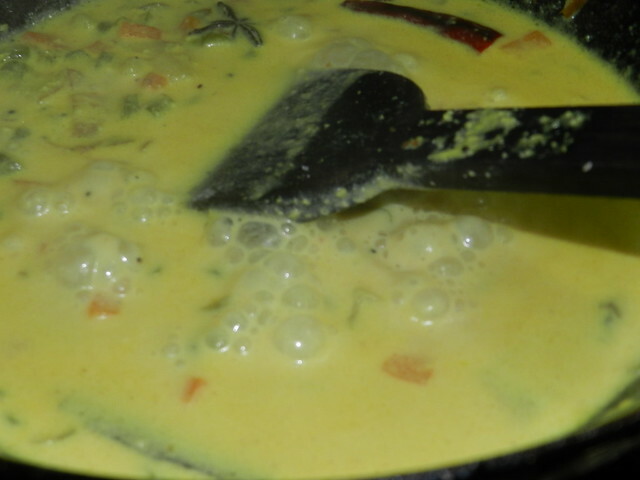 Allow this mixture to cook and start bubbling on a medium flame. 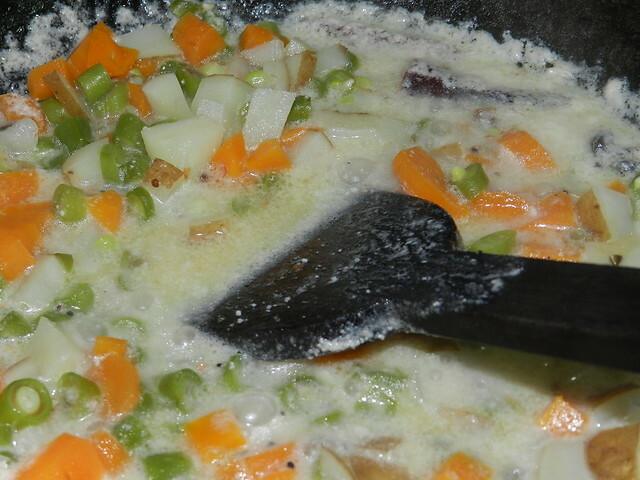 Step 5: Next add the cooked vegetables. Mix well. 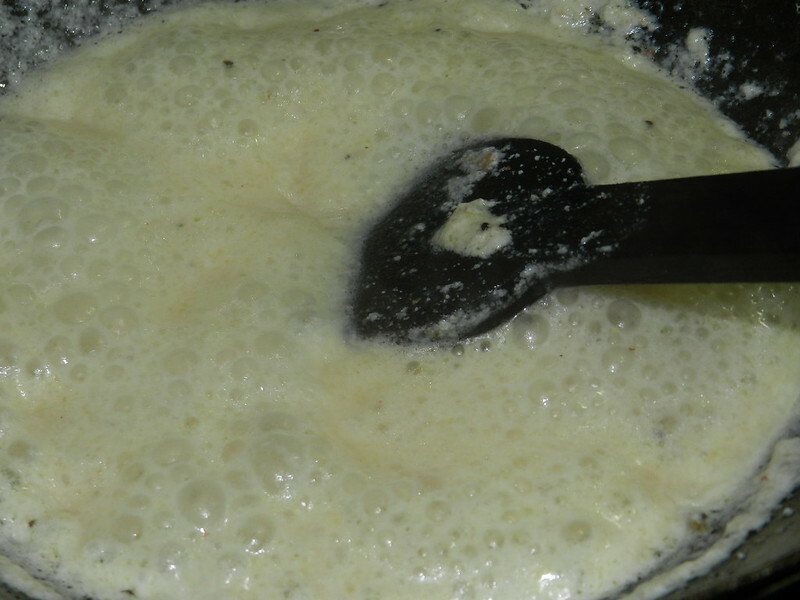 Step 6: Once the mixture has blended well, add milk. 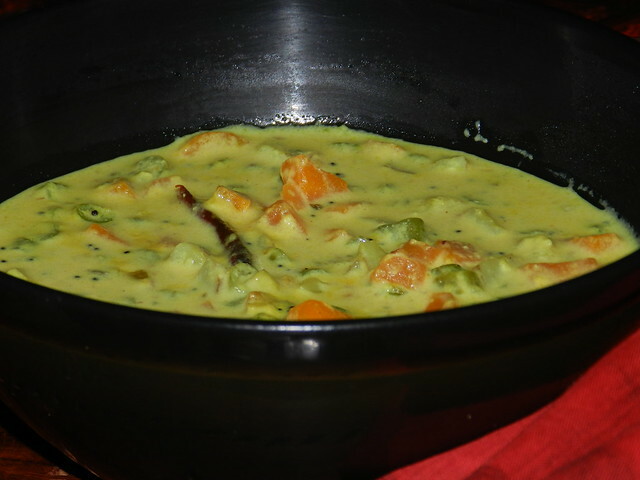 Step 7: Stir well, add the turmeric powder, sugar and salt. Bring the mixture to a boil. Step 8: Turn off the heat and serve! :) You are free to garnish this with dill leaves or cilantro. I made this for lunch last weekend. I doubled the recipe because i had to serve 7 people. It came out delicious. I made puris for this. and everybody were licking their fingers literally. the vessel was cleaned. :) all thanks to you pratibha.,,, really i never knew a recipe could be so simple. and your measurements are perfect. a request. can you please post some yummy paratha recipes. Hey! Just stumbled on your site through a google search. Was looking for Glenmore resort food in google and landed on your site. Your write up proved to be useful for us to plan our trip. We must try this kurma if my dad decides to take us here. Thanks a ton. Hey Suneetha. You are a guest to my site by accident :) All thanks to Google. The food is great here. Do try this kurma if you happen to go to Glenmore. All the very best. Would love to try but my daughter is allergic to cashews. Can I add badam pieces to this? Will it change the taste? Or any other alternate solution? I made this last week for my guests. and the taste was so rich and creamy. it became a life saver. thanks for the recipe. I absolutely loved the photographs! Munnar is a beautiful place! 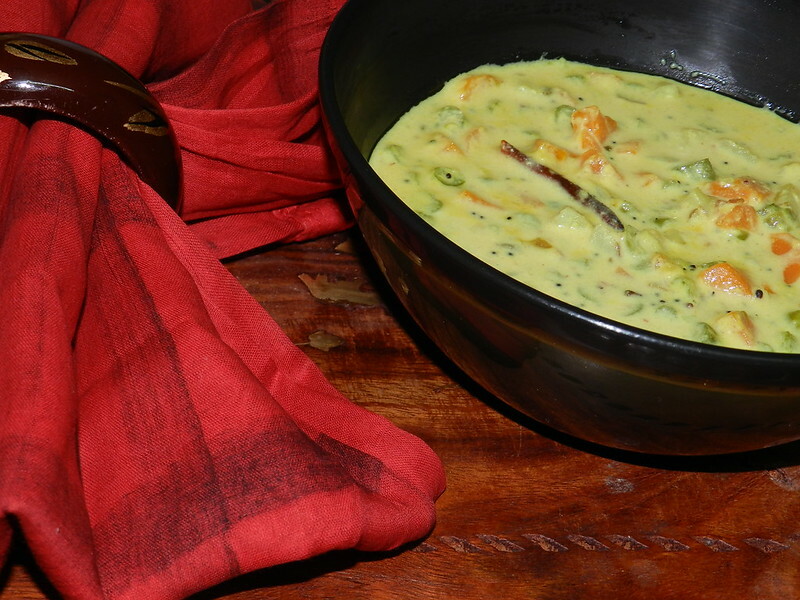 :) And this is such an awesome, almost satvic recipe! Thanks for sharing! I just had a glance at your blog and I already love the recipes! I will add a link to your site on my blog and will explore it more in time. I make a similar vegetable with coconut milk. This kind of simple curries are the best.